Buchalter Cosmology Prize for Bubble Collision Simulations Inflation, Statistics, and Predictions — Oh, My! 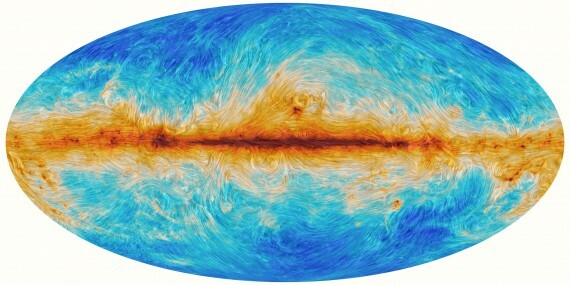 New maps from ESA’s Planck satellite, forming the second major data release (Feb 2015) from the project, have unveiled the ‘polarised’ light from the early Universe across the entire sky, revealing that the first stars formed much later than previously thought. These results are due to the hard work of hundreds of scientists from all over the world! Here we’ll point out some highlights from the new data, focusing in particular on contributions to this huge scientific endeavour made by EarlyUniverse@UCL members! 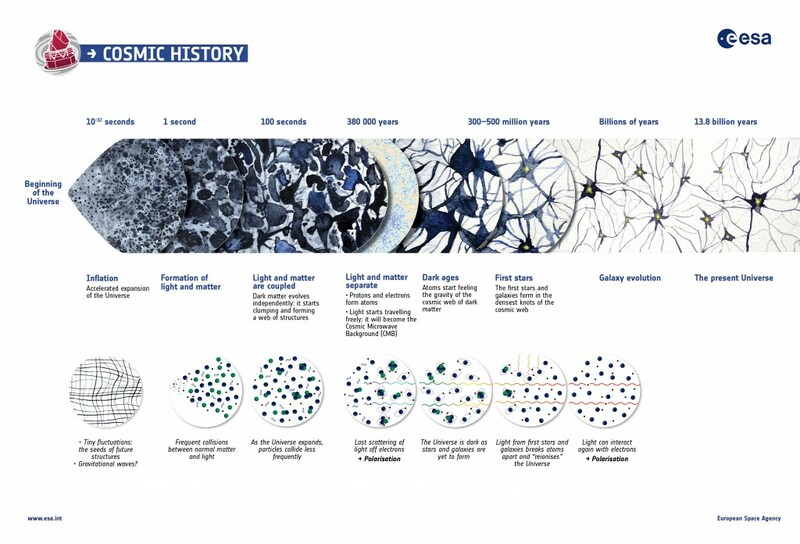 A major source of information used to piece together the 13.8 billion-year story of the Universe is the cosmic microwave background (CMB) the fossil light resulting from a time when the Universe was hot and dense, only 380,000 years after the Big Bang. Light is polarised when it vibrates in a preferred direction, something that may arise as a result of photons – the particles of light – bouncing off other particles, like electrons. This is exactly what happened when the CMB originated in the early Universe. The CMB light detected by Planck retains a memory of its last encounter with the electrons, captured in its polarisation. The 2015 data release unveils the first high resolution maps of CMB polarisation over the full sky. 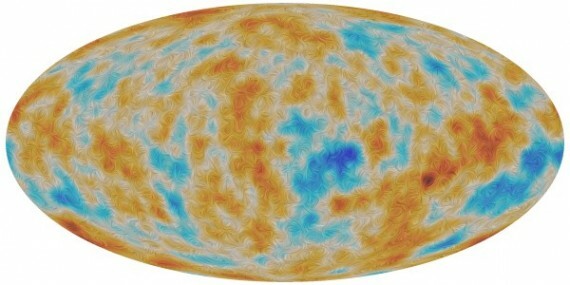 A visualisation of the polarisation of the Cosmic Microwave Background, or CMB, as detected by ESA’s Planck satellite over the entire sky. The CMB is a snapshot of the oldest light in our Universe, imprinted on the sky when the Universe was just 380 000 years old. It shows tiny temperature fluctuations that correspond to regions of slightly different densities, representing the seeds of all future structure. A small fraction of the CMB is polarised – it vibrates in a preferred direction. In this image, the colour scale represents temperature differences in the CMB, while the texture indicates the direction of the polarised light. The patterns seen in the texture are characteristic of ‘E-mode’ polarisation, which is the dominant type for the CMB. The nature of the polarised signal observed by the Planck detectors can be reconstructed with very high precision thanks to the detailed analysis of the polarisation efficiency and spectral measurements performed during ground calibrations by Giorgio Savini. Planck’s polarisation data confirm the details of the standard cosmological picture determined from its measurement of the CMB temperature fluctuations, but add an important new answer to a fundamental question: when were the first stars born? As the first stars began to shine, their light interacted with gas in the Universe, and more and more of the atoms were turned back into their constituent particles: electrons and protons. This key phase in the history of the cosmos is known as the ‘epoch of reionisation’. The newly liberated electrons were once again able to collide with the light from the CMB, leaving a tell-tale imprint on the polarisation of the CMB. Planck’s observations of the CMB polarisation now tell us that the first stars formed some 550 million years after the Big Bang – more than 100 million years later than previously thought. This later date on the end of the “Dark Ages” of the Universe implies that it might be easier to detect the very first generation of galaxies with the next generation of observatories, including the James Webb Space Telescope. New in the 2015 release is the use of high resolution polarisation information of CMB data, providing a powerful and nearly independent test of the temperature-only analysis. The standard cosmological model remains an excellent fit to the data. The data have also enabled new important insights into the early cosmos and its components, including the intriguing dark matter and the elusive neutrinos. In practice, estimating the cosmological parameters requires a statistical framework to confront theory predictions with the data. As a member of the Planck team, Franz Elsner led the development of this analysis pipeline. This task involved the numerical implementation of the algorithm, improving its accuracy, and a comprehensive verification effort on the basis of simulations. Also new in 2015 is the use of both the anisotropies of the temperature and polarisation of the CMB to reconstruct the entire distribution of the matter from the moment it was emitted 380,000 years after the Big Bang. With extended data Planck has measured, to 2.5% precision, the amplitude of the fluctuations in matter when the Universe was about 3 billion year old. Aurélien Benoit-Lévy contributed to this milestone, as well as creating sky masks that reject the contamination due to foreground emissions that enabled robust cosmological analysis. The Planck data have delved into the even earlier history of the cosmos, all the way to inflation – the brief era of accelerated expansion that the Universe underwent when it was a tiny fraction of a second old. As the ultimate probe of this epoch, astronomers are looking for a signature of gravitational waves triggered by inflation and later imprinted on the polarisation of the CMB. No direct detection of this signal has yet been achieved. However, when combining the newest all-sky Planck data with the latest results from the BICEP/Keck Collaboration the limits on the amount of primordial gravitational waves are pushed even further down to achieve the best limits yet. 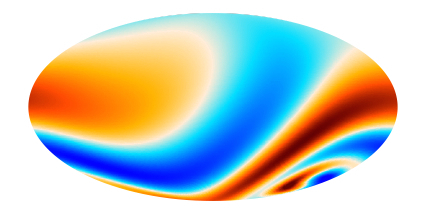 As part of this effort Hiranya Peiris tested models of inflation using the latest Planck temperature and polarisation data, searching for tell-tale fingerprints of new physics that operate at the enormous energy scales during inflation. Einstein’s theory of general relativity tells us about the local curvature of space-time but it cannot tell us about the global topology of the Universe. It is possible that our Universe might have a non-trivial global topology, wrapping around itself in a complex configuration. It is also possible that our Universe might not be isotropic, i.e., the same in all directions. In the 2013 Planck results, some intriguing hints of non-standard geometry were found, suggesting that our Universe might be slightly anisotropic. The Planck 2015 results extended the analysis to include polarisation data for the first time, which provides additional constraining power. These additional data allowed the Planck team including Jason McEwen to strongly rule out the hints of anisotropy seen in the previous analysis. While not a member of the Planck team, Andrew Pontzen computed some of the theoretical predictions that were tested in the analysis. The latest Planck results suggest we live in a Universe with simple topology and geometry, ruling out alternative exotic scenarios and directly testing one of the fundamental assumptions of the standard cosmological model.